Fresh Air, L.P. is proud to serve Sugar Land, TX with residential AC repair and heating services. 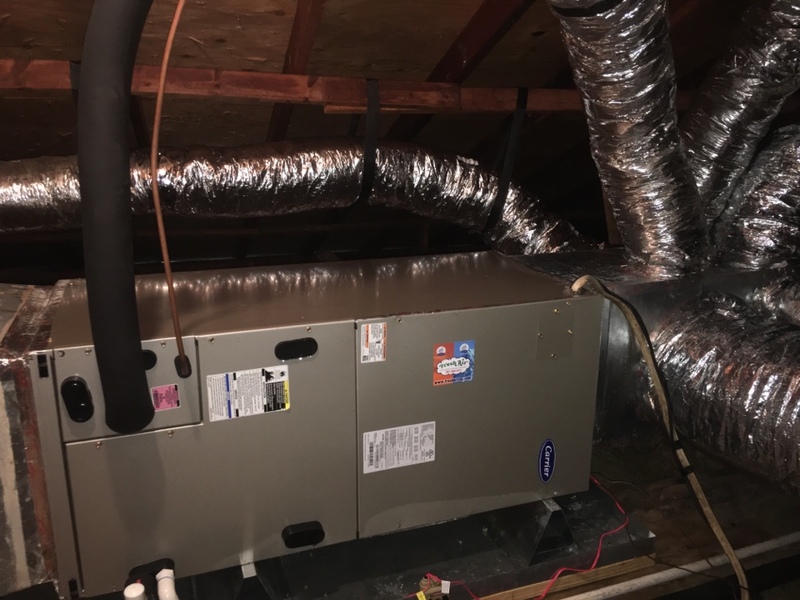 From residential to commercial HVAC needs, the folks at Fresh Air, L.P. can assist you with all of your heating and cooling needs in Sugar Land, TX and beyond. Our service person was Joe Jr. who provided excellent customer service to us. He is very knowledgeable and was able to quickly resolve our AC unit's wifi connection issue. He took time to answer all of our questions and made sure our units were inspected properly during our annual inspection. We highly recommend Joe Jr. and Fresh Air AC/Heating! Knowledgeable and professional....that what we pay for, right! One of the best things about Fresh Air is they are totally dependable and they always arrive when they say they are coming. No having to wait forever and this is MOST appreciated. Joe Senior called me 10 minutes after I talked with the customer service. He arrived at my house within 1 hour. He fixed the problem in 15 minutes. It was a faulty wire on the capacitor of the unit. He was personable and also gave me a tip about unit operation. Price was reasonable for a Sunday afternoon call out. Joe was our technician - he was friendly and made sure our units are in good working order for the summer. We have been using fresh air for over 20 years. We scheduled our semi annual inspection, and a young technician, Chris, showed up on time to do the work. I had noticed that water was dripping from the overflow pipe, and Chris went the extra mile to completely flesh the pipes and check the connection. This included carefully dodging boxes to get to the connection that went down to the drain pipe, in our attic. Chris also opened up panels on the air conditioning unit in the attic, that I don't remember seeing other technicians open before, to check out the system very thoroughly. Granted I'm not always up in the attic watching the technicians, I just happen to be there at this time. Chris did an excellent job with the service of our equipment, and it's nice to see someone taking pride in his work. We have met a lot of the technicians from Fresh Air over the years and they all seem to be very good at their jobs. My wife and I have known the owners for a very long time and we highly recommend their service. Service was excellent and the technician very polite! Been with Fresh Air over 25 years. Service has always been excellent. Chris has done our maintenance/service calls the last couple of times. Very knowledgeable and courteous. Fresh Air is so classy! Great service, reasonable prices (not the cheapest and not the most expensive). Show up on time and are true professionals with A/C installation. Mr. Salinas performed his work in a very efficient manner. He took the time to describe what he was doing and the various technical aspects which I appreciated. I was very pleased with the service of the furnaces and cleaning out the drains from one of the AC units. Thanks so much for getting to the AC unit and fixing it so quickly and efficiently today. The price is more than fair and I'm so glad to be a customer. The timeliness, professionalism and good service are always greatly appreciated. Austin Roncancio and his team did an excellent job. The entire process from proposal to delivery to follow-up was outstanding. I would highly recommend contacting Austin for any A/C needs. Fresh air did a great job from start to finish, happy with our new system!